The department is staffed with an experienced and highly qualified team of specialist teachers. Mathematics is taught in a suite of five specialist rooms. All rooms are fully equipped with digital projectors and interactive whiteboards. We aim to provide challenges for students which will set them in the right direction of their lives. We encourage our pupils to have fun with the subject and take part in various schemes and challenges such as the UK Mathematics Trust Challenge (UKMT) and the Big Sister Scheme (BSS). In Year 7 and 8, we take a selection of students on a Mathematics trip to explore enrichment opportunities outside the curriculum to enhance pupils’ enjoyment of mathematics. 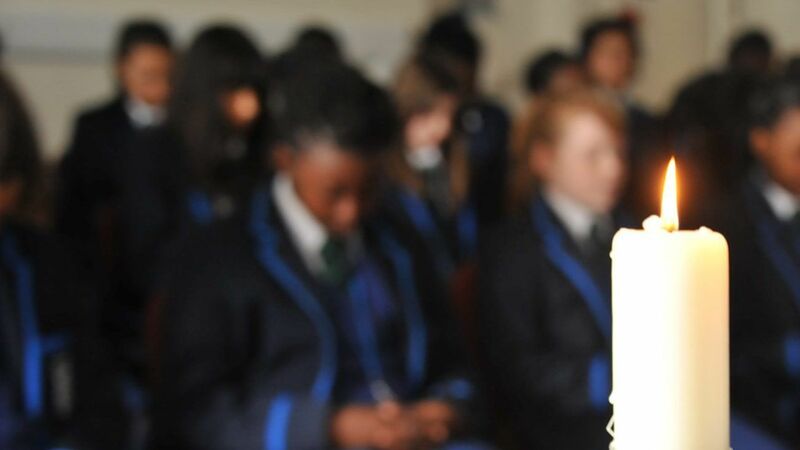 We have a long tradition of achieving excellent exam results for GCSE and believe in our ways of teaching and we hope your daughter has the opportunity to experience what we have to offer. There are a range of teaching groups from Year 7 to 11. All groups are arranged according to ability. The group sizes vary according to the Mathematics set. Progress is monitored on a regular basis through topic tests and end of year exams and the students may be moved between sets where appropriate. Mathematics is taught for lessons of 50 minutes each and range per year group. The course encourages students to adopt an investigative and interactive approach to their learning. It is studied at a pace suited to the ability of the group. In addition to the topics learnt, the course also includes mental Mathematics, efficient use of a calculator, investigations and proof, Mathematics through the use of ICT, and revision and consolidation of earlier work. The department follows the Linear Specification. All the examinations are taken at the end of the course (end of Year 11). There are two tiers of entry: Higher and Foundation. There is one non-calculator paper and two calculator papers in each tier. The papers are 1 hour, 30 minutes long. All three papers carry equal marks. Some pupils are also offered the opportunity to study Additional Mathematics at GCSE. Revision Booklets are issued at the relevant level of entry are to all students e.g. A*/A grade or C Grade. In A Level Mathematics students study the Linear Specification. All the examinations are taken at the end of the course (end of Year 13). Each paper is a 2 hour written examination and all three papers carry equal marks. Some pupils are also offered the opportunity to study Further Mathematics at AS Level.